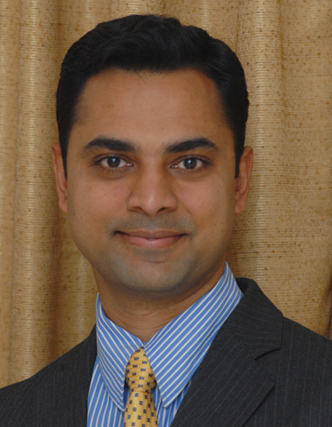 In the first of this two-part interview, Professor Krishnamurthy Subramanian talks to Anjan Thakor, John E Simon Professor of Finance and Director of the PhD programme, Olin Business School, Washington University in St Louis, on the current financial climate including banking regulations and the corporate bond market. Research indicates that there is an explicit government guarantee for public sector banks in India, which might have been instrumental in the banking sector not feeling the effect of the financial crisis as much as their western counterparts. But in good times, this can impose significant costs. While the benefits from the entry of private players and the competition is recognised, the competition might lead to the banking sector becoming more fragile. What are your thoughts on this? state-owned banking system is not allocating credit based on market signals, it fails to provide valuable signals to the real sector about where productive investments are. What are your thoughts about the level of conservatism and aggression on the part of banking regulators? When you don’t have private banks competing with each other, innovation incentives and incentives to take risks get muted. In a very perverse sense, you may end up sacrificing economic growth rather than facilitating it. It is true that a competitive system can become overly aggressive. But that is where market discipline works. In the short run, excess competition leads to more risk and fragility but in the long run, it actually promotes stability. An analogy is the human immune system. If a child, who is not vaccinated against chicken pox gets the disease, it is fairly harmless and a lifelong immunity is developed. However, the people who do not get chicken pox when they are young, as adults, they often end up getting shingles, which is a more deadly disease. The same applies to the financial system. If you don’t allow a small number of failures or expose the system to short-term fragility, in the long run you have big crises. You have to allow certain poorly-managed banks that don’t have good risk management practices to fail if they experience large losses. They have to feel the force of the market to create the right incentives. The temptation to resist bailouts has been difficult even in the United States, which is sort of the benchmark for market discipline. How credible is it that such discipline will work in an emerging market context where political forces might be much stronger compared to market forces? I think there is no silver bullet here. In a state in which it seems expedient to bail out banks, it is very hard for politicians to be able to resist doing that. But the consequences are adverse. To me, the only protection against it is a strong regulatory body, staffed by economists, not lawyers or politicians. With independence from politicians, you must let these regulators do the right thing. The other measure is to not allow institutions to become too big and important. This comes at a cost. By allowing banks to get bigger, they are economies of scope. But I think that the lesson we have learnt is that you cannot let banks get too big or too important. So it is both. By too big, it is not only in terms of the size of the balance sheet but also the inter-connectedness of the bank. There is a new definition in the US of systemically important financial institutions (SIFIs). You want to be able to monitor your SIFIs and intervene in an orderly manner. What are your thoughts on advocates who say that corporate bond markets will not develop unless there are stronger laws and institutions, because arms-length lending depends on the strengths of laws and institutions? Is there a way to leapfrog this process and activate a corporate bond market? Well, many of the institutions are important for the functioning of markets, as you mentioned. I think informal institutions and self-regulation often substitute for formal institutions and government-based laws. So, if there is a strong perceived demand for the corporate bond market to develop, which is relatively small outside the US, this is because banking is much more important in the other countries. In the US, bank loans have substituted for corporate debt. But to the extent that one wants the corporate bond market to develop, if there is a perceived demand, then I think self-regulation should and can work effectively. Even if you think about the US context, it has really built the sequence because typically markets and institutions come up with their own laws. The exchanges on which bonds are traded come up with their own laws. If you do not have traded bonds, then you have implicit rules that govern bilateral transactions. But whether it is the private placement market or the public debt market, exchanges and other players can develop their own laws. I would call that self-regulation. If you observe the development of regulation, even in the US, you typically have self-regulation first. Often government regulation steps in when self-regulation fails or when you run into capacity constraints, such as with clearing houses in the US providing de facto (not founded on law) guarantees. When that capacity was exceeded, it was realised that we needed formal deposit insurance by the government. So you could certainly think of self-regulation as one way in which you can get there before formal legal institutions are established by the government. For India, financial inclusion is a burning issue. Since both priority sector lending and market-based solutions, such as microfinance, have their own problems, what do you think will give a strong push to this process? Inclusion must be encouraged using a different approach – one where you can facilitate and encourage the development of lending cooperatives. In the US there is something that most finance professors don’t know about – the Farm Credit System (FCS), initially sponsored by the US government. The whole idea was to ensure that the agricultural, fishing and gaming sectors, which were not served adequately by commercial banks, were able to get credit. Commercial banks had little interest in loans to these customers. So it existed as a cooperative and there are now almost 100 such lending institutions called “associations,” which are effectively banks. But they are all cooperatives and are backed by system banks that provide funding. System banks get funded by capital market issues, by the FCS using the Government Sponsored Enterprise (GSE) status. Then, they channel funds to the system. It works pretty well. I have worked with them a lot and I think this is a pretty good model. Now, I am not a big fan of the fact that they have GSE status but I don’t think that that is crucial. But even if you do give GSE status to reduce the cost of funding and provide some insurance to the market, that is alright. But I think in India, there are numerous opportunities in these sectors to develop local cooperatives. But local cooperatives have the disadvantage that they don’t have enough financial depth and can easily fail. You need to create a national system like the FCS, so you can create an analogous Indian credit system with many cooperatives. But the pricing of credit here is market-driven, because these are not government-owned institutions. So they have to survive in the market place. They are subject to the risks that normal banks are subject to. They have to do risk management. They have their own board which is basically their customers. The system can then flourish. On the issue of corporate governance, we found that post Satyam fiasco, there were large scale exits by independent directors because of the perceived risk in the role. If we do believe that independent directors have a role to play as monitors and as advisors then this is possibly a negative outcome. There are costs that have been documented even in the context of Sarbanes-Oxley. For example, small firms have found the cost of complying with Sarbanes-Oxley exorbitantly higher. Given this, is there a regulatory solution? There are elements of Sarbanes-Oxley that are very good, but I think it went too far. There is some evidence that it has led to fewer IPOs in the US and firms converting to private ownership because they did not want to comply with its expensive reporting. I think that in the Indian context, I am a firm believer that more transparency is good and board independence is very important. We need more board independence in the US than we have at present. You don’t want to enact legislations, regulations or laws that impede their participation. That is why I am a big fan of the business judgment rule. In the US, the courts are very unwilling to rule against a company just because it made a mistake. Basically the courts defer to the independent business judgment of the board and firms that you really have to show deliberate wrongdoing, criminal conduct to be able to pursue legal action successfully against the firm or its directors. I think it is a very wise rule. You have to balance the need for transparency against the cost of excessive disclosure. In the US and developed markets, there is this issue of de jure (a matter of law) independence versus de facto independence. Even independent directors often tend to have social connections. So they may not be really independent. They are appointed by the CEO. These issues are even more exacerbated in the context of an emerging market, where a new relationship matters more than arms-length contracts. Should this be regulated? Or is regulatory failure worse than market failure? argument that it opens the door for the union to start putting people on the board and then you have problems. So again, I think it is a delicate-balancing act.